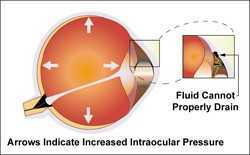 In open angle glaucoma, the blood and fluid drainage slows down resulting in increased pressure. This excess fluid pressure pushes against the delicate optic nerve that connects the eye to the brain. If the pressure remains too high for too long, irreversible vision loss can occur. In order to lower the blood pressure in the eye the ophthalmologist might use one of three basic types of treatment – medicines, laser surgery, or filtration surgery. A visual field test is an eye examination that can detect dysfunction in central and peripheral vision which may be caused by various medical conditions such as glaucoma, stroke, brain tumors or other neurological deficits. 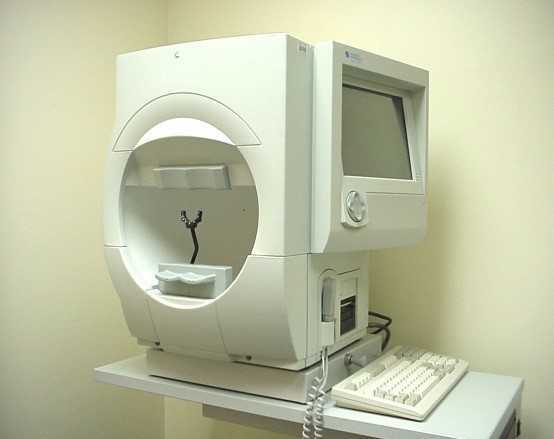 Visual field test enables the eye doctor to monitor any loss of vision and diagnose eye problems and disease. Laser and surgical procedures are designed to lower the pressure inside of the eye and to prevent further damage to the optic nerve. The following are the options for glaucoma treatment. The most common type of laser surgery performed by our eye specialist for open-angle glaucoma is called Argon Laser Trabeculoplasty (ALT). The objective of the surgery is to help fluids drain out of the eye, reducing intra-ocular pressure that can cause damage to the optic nerve and loss of vision. This is done on outpatient basis in the office itself. The treatment requires follow up and medications will be continued for few weeks. Most patients resume normal activities within a few days. Trabeculectomy is generally recommended for patients with glaucoma that continues to progress despite use of medications and/or laser treatments. In some cases, trabeculectomy surgery maybe recommended prior to trying medical or laser treatment. These decisions vary depending on the type of glaucoma, the stage of glaucoma, as well as other factors. Sometimes this surgery can be combined with cataract surgery.